At 2pm on Saturday 9th December 2017 passenger services will start on Luas Cross City; the extension of the Green Line through the City Centre to Broombridge. The Luas Cross City construction project started in June 2013 and has delivered 5.9km of track with 13 new Luas stops taking Luas through the city centre and north to Broombridge. The Luas Cross City line will now become part of the Luas Green Line when passenger services start at 2pm Sat 9th Dec. 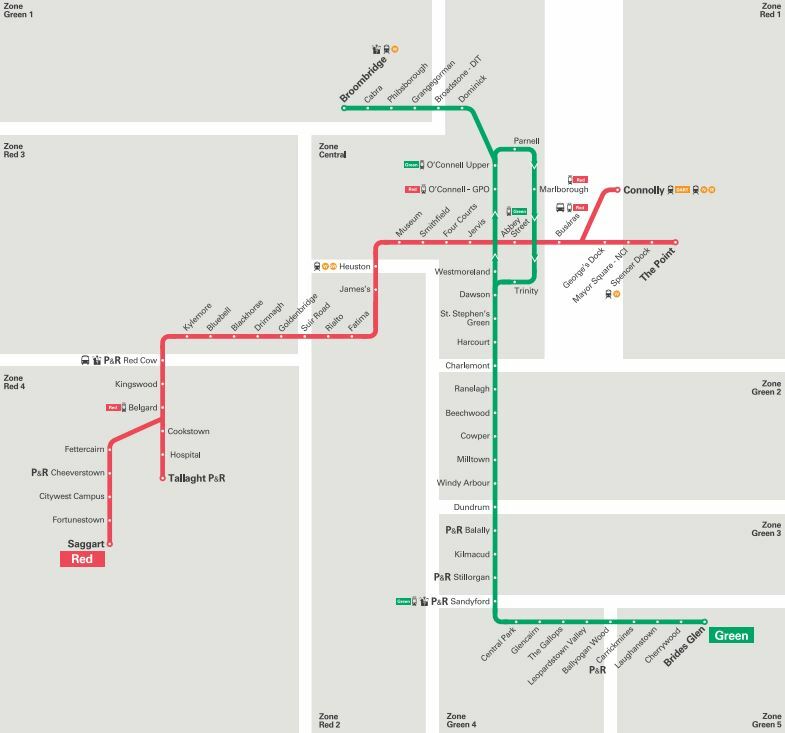 The new Luas Network Map can be viewed below or to download it click on the following link – New Luas Network Map.